See news coverage of the October 13, 2018 annual meeting. ​Sam Walker, pictured above, began his keynote speech holding the Academic Freedom Award which he had just been awarded from AFCON. His keynote was entitled Giving Flesh and Blood to the Promises of the Bill of Rights. This was followed by the panel discussion Free Speech and Academic Freedom at the University of Nebraska. Panel Participants included the following: 1. State Senator Steve Halloran, who represents district 33 in the Nebraska legislature and introduced LB718 in the January 2018 to promote free expression in public higher education; 2. Amy Miller, Legal Director of the ACLU of Nebraska, who has provided UNL, UNO, and UNK with detailed critiques concerning their free speech policies; and 3. 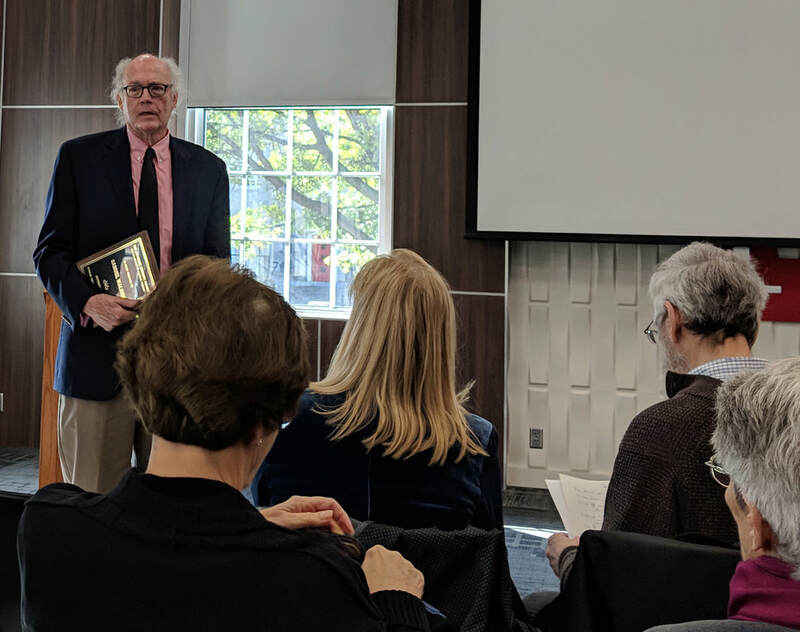 John Bender, a professor of journalism at UNL and expert on First Amendment law, who has served as president of the UNL Faculty Senate, the UNL chapter of the American Association of University Professors (AAUP), and AFCON. Click here for information on the 2017 Annual Meeting!